We are so pleased with the JUG watering systems and what they have done for our operations. 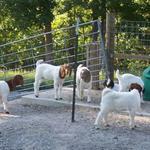 Our goats always have fresh clean water to drink which has increased the amount they drink. The other big plus is we don't miss all the different bowls/buckets to fill, clean, and break ice from. This model is a two bowl system and can be wired with a heat element for the winter. They are very easy to keep clean and drain. 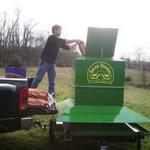 For more details contact Mark and/or go to their site at www.thejugwaterer.com for more information. 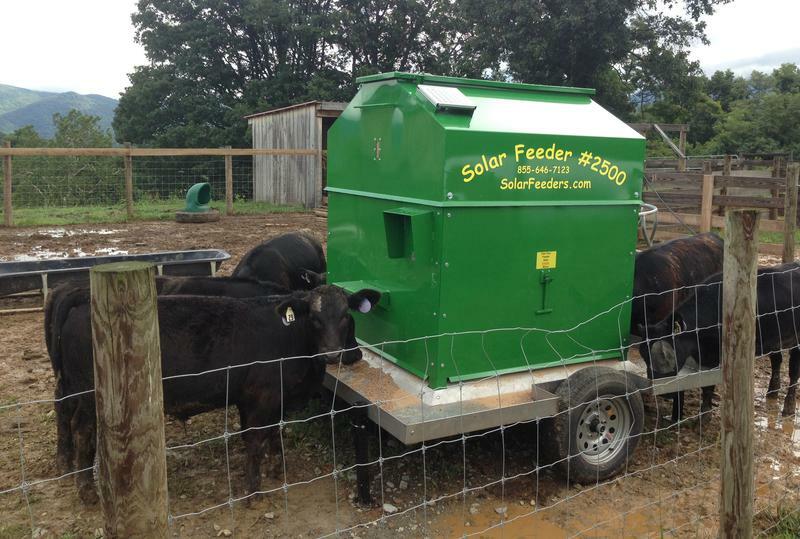 Mark has become a Solar Feeder distributor/dealer and is also the JUG Livestock Waterer systems distributor/dealer. Both companies have worked with Mark to make an amazing product for our industry and we just want to provide everyone with some information. We've seen a tremendous difference in the feeding habits and the amount of water being consumed by our goats, which is critical in the development. We're also not wasting as much feed and water from emptying out dirty troughs and buckets. This is the picture of the C-n-C Flagstone rock we had on display at the ABGA Nationals. We have had many people ask about it and how to order one of them. 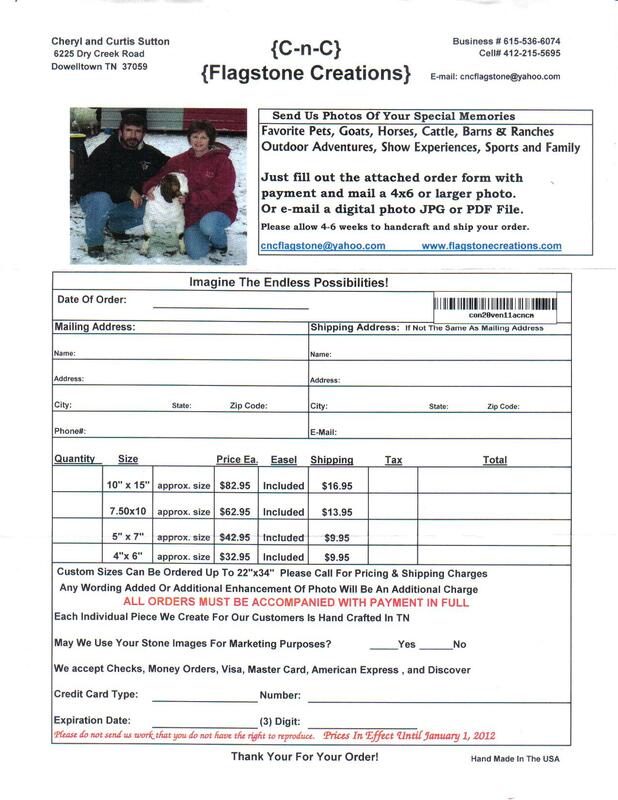 If you are interested in getting more information and/or ordering one of these beautiful gifts, just click on our picture for an order form and follow the instructions. 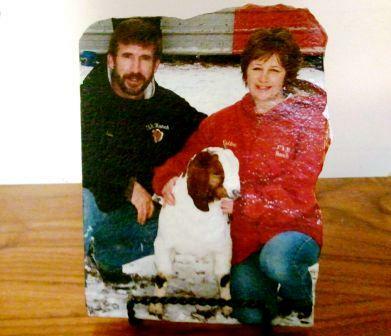 They can put any size picture on a rock and the texture is amazing at how it brings the picture to life. 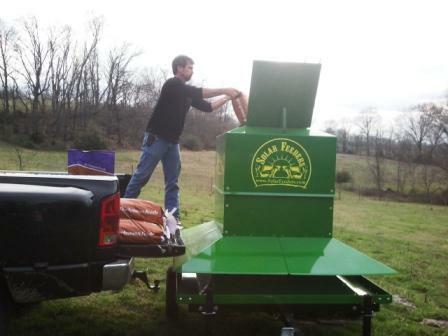 We will be using them for the Reserve Grand Champions at our shows in 2012. 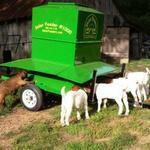 They have been a great goat supporter! Another amazing product we've discovered and have began using in our operations. 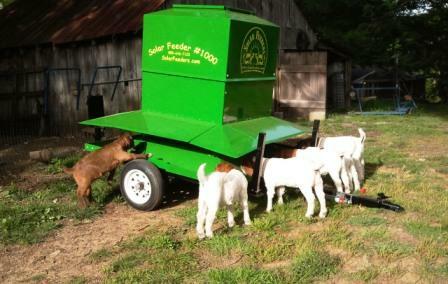 The #1000 Solar Feeders allow us to program and feed six different times a day, giving us the flexibility to move our goats and put them on different timetables depending on where they are in the pregnancy. We're also testing them on the kids and will be following their growth patterns. 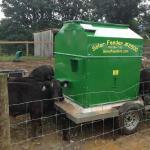 They are also available in 2500 and 6000 lb capacities for larger animals. Give Mark a call for more information and pricing or www.solarfeeders.com for more information.